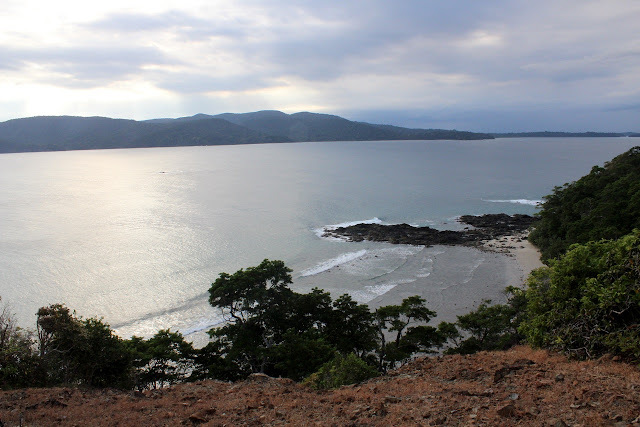 Andaman and Nicobar - Around Port Blair - Ghumakkar - Inspiring travel experiences. After coming back from Neil Island, we rested in the afternoon and in the evening went to Wandoor beach with my sister’s family. By the time we reached, it was already getting dark due to clouds. We just hung around at the beach for some time and had tea & snacks at Hotel Sea Princess which is a good resort on the Wandoor beach. Close to Wandoor is Mahatma Gandhi Marine National Park from where one can go to Jolly Buoy and Red Skin island. Jolly buoy is famous for corals around it and one can do Scuba diving. 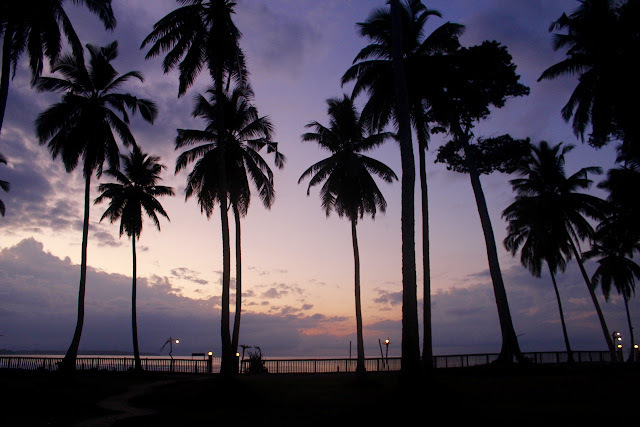 For dinner we went to Sinclair’s hotel which one of the famous hotels in Port Blair on the edge of sea. From its viewing point, we could see dark sea occasionally lit by revolving light of North bay light house. 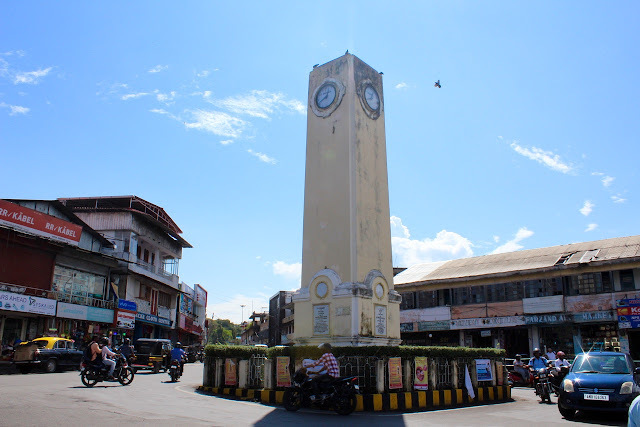 Today we were to visit only Port Blair attractions. First we went to Samudrika museum which has good exhibits maintained by Navy. 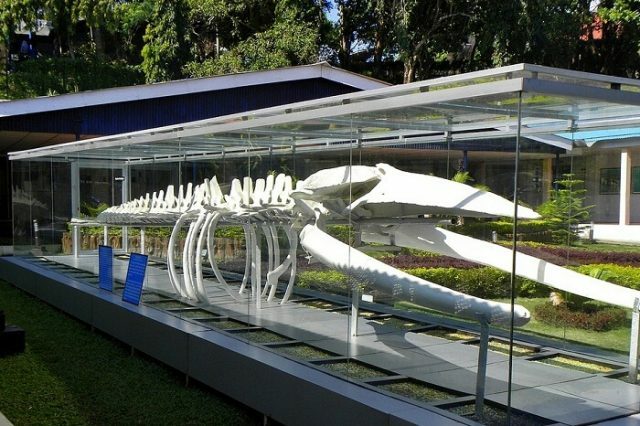 Exhibits includes Andaman history, marine life and a blue whale skeleton. The souvenir shop has good collection of items and we bought some. 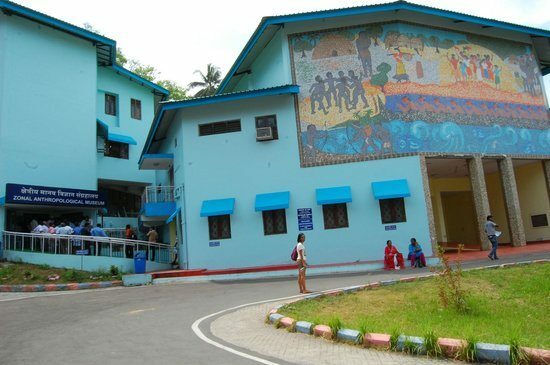 From there we went to Anthropological museum which has exhibits about tribal culture in Andaman & Nicobar. The museum was decent. I was looking for some good book or documentary on the tribal life but sadly there was not much. From there we went to see Chatham Saw Mill. 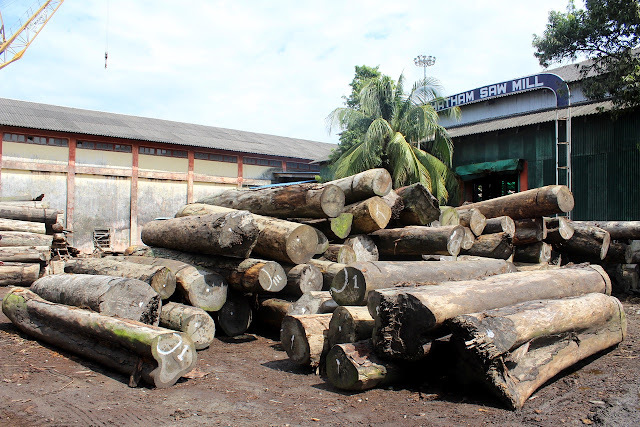 This is a wood processing unit occupying whole island connected to Port Blair by a bridge. This is a quite old unit still in function, setup by British. 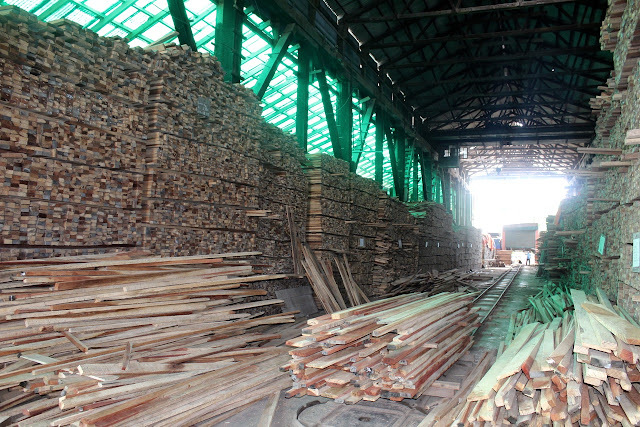 The guide took us through whole mill stocked with wood and cutting in progress. 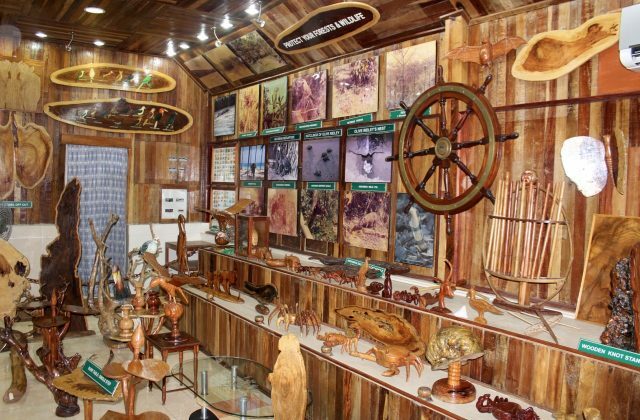 There is a room full of decorative items created using various type of wood available in Andaman. Another attraction here is a big crater in ground made by Japanese bombing in 1945. From here we went to see an govt run Aquarium which had again marine life on display. For lunch we went to a restaurant called Blue sea which has a good vegetarian south Indian thali recommended by sister. While criss-crossing the city, we also passed through Aberdeen bazar clock tower (Ghanta Ghar). 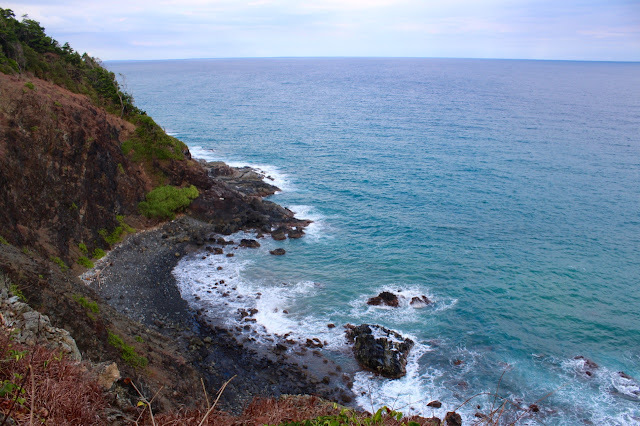 After this we went to Chidiya Tapu which is a picturesque location around 30 km from Port Blair. 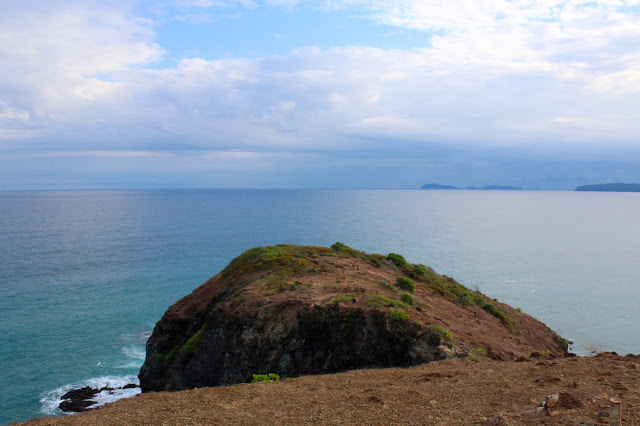 Here there is a beach called Munda Pahar which is a small hill ridge and end point of South Andaman Island. There is an easy 30 minutes trek through the forest to climb up the ridge to get a panoramic view of sea, shore and islands around. There is a light house also at the top and hut for seating. We were glad to walk up which constituted a trek in this trip. 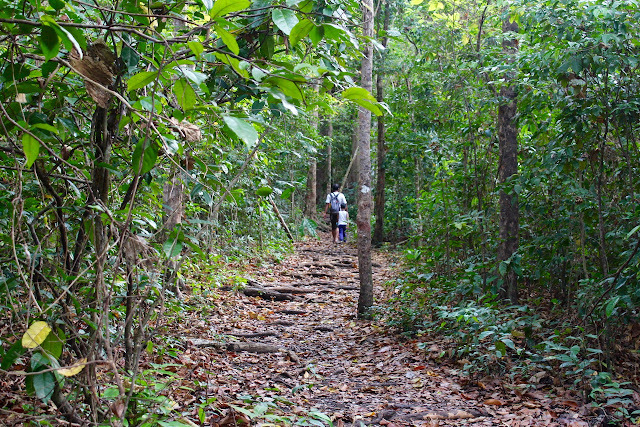 For trekkers there is a trek to Mount Harriet near Port Blair but it was not on the plan. 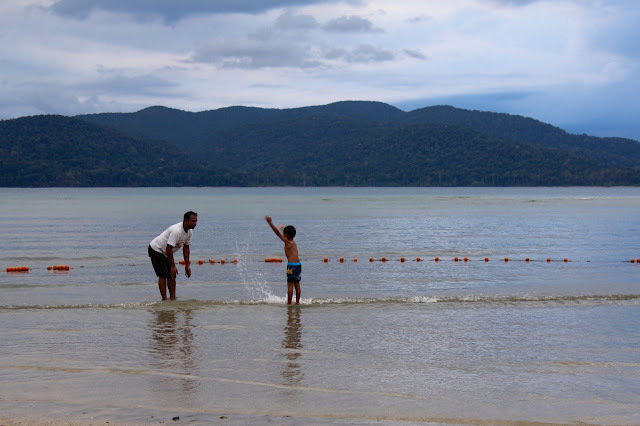 We came down to the beach and played in water for some time. At 5:30 the beach closes and warden makes sure that everyone is out. For dinner we went to Sea Shell rooftop restaurant which is a hang out place in Port Blair. We had a nice family evening there with drinks and finger food. Previous articleWhat makes The Isle of Wight grand, mesmerising and insatiable? Wonderful post Roopesh.. 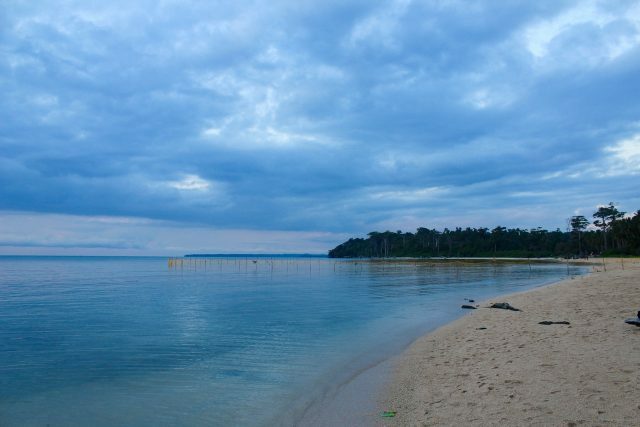 I have been to most places you have mentioned in this post except Munda Pahar and Chidiya Tapu Beach..
Everytime I read a post on Andamans and the visuals make me go there. But then, you work out the cost and for a similar expense, you end up going elsewhere. One day for sure, I hope I find myself at A & N. Thank you Roopesh for the tour. 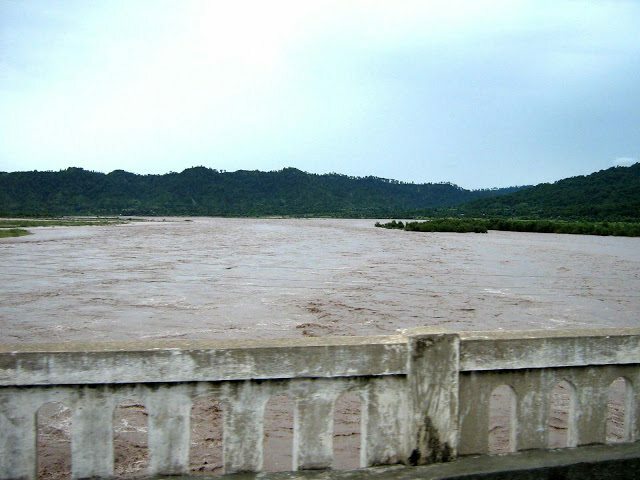 भोले बाबा के दर्शन करके, नीचे रन्सू में आकर के भोजन करके तृप्त हुए और जम्मू की और चल दिए. बारिश और आंधी तूफ़ान बहुत तेज था. पहाड़ के एक मोड पर हमारी बस कि टक्कर एक ट्रेक्टर ट्राली से हो गयी. वह टक्कर लगते ही पलट गयी. बस पीछे की और खिसकने लगी. पीछे सैकड़ों फीट गहरी खाई थी.